Arron's new single, Just Like The Weather, is loaded with the humor and irony of teen romance. "Well my first car was 63' Ford Falcon. Was painted brown by a house painter, so we called it "Wood Grain" because of the brush marks left in the paint. And I sold weed for gas and my girlfriend actually left me for a kid with a better car." Says Aaron. This blues Rock offering is reminiscent of ; Bruce Springsteen, John Hyatt and Stevie Ray Vaughan. Happy Listening! Music journalists, please feel free to use any images or excerpts from information found on this site. In January 1973, Just before band practice, Aaron received a call that his buddy, his bandmate, was killed in a tragic train and automobile collision. Soon after, the boy’s parents gifted Aaron with their son’s guitar, a green 1963 Fender Music Master. This passing of the baton sent Aaron on a four-decade musical journey. Until now, the singer/songwriter/guitarist hasn’t released anything from his vast back catalog of music. 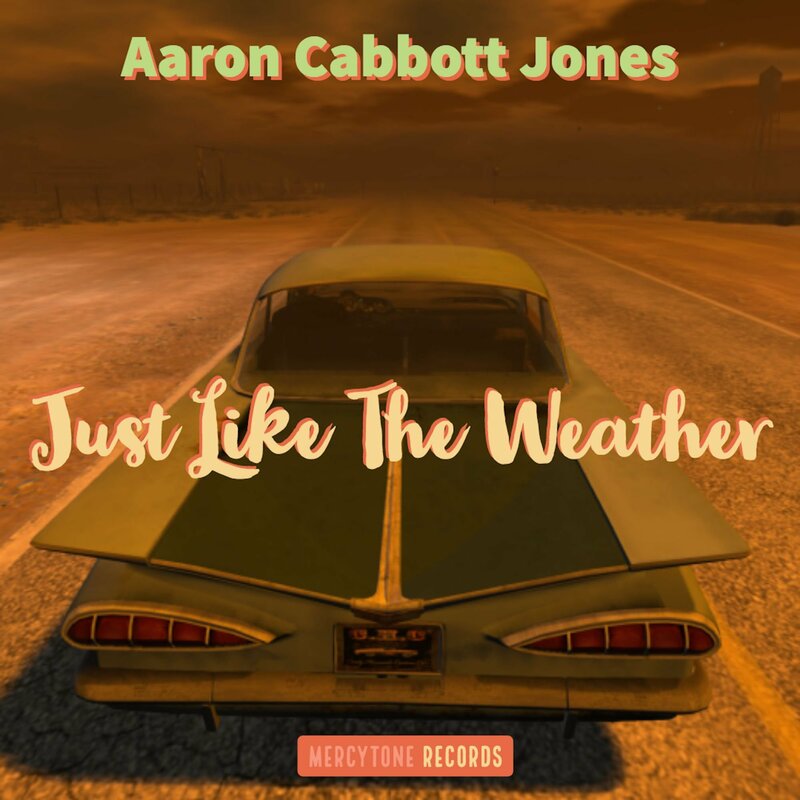 However, with his kaleidoscopic debut solo album, The Adventures of Aaron Cabott Jones, mastered at the famed Abby Road studios, he shares the first installment of his life’s work. The 10-track collection, The Adventures of Aaron Cabott Jones, swirls through Beatles-y psychedelic pop, seething politically-slanted rockabilly, sweetly romantic orchestral-pop, brawny classic rock, electronic-tinged new wave, and pensive and impressionistic acoustic guitar wizardry. Tying the prismatic album together is Aaron’s penchant for smart hooks, his clever arrangements, his deft touch with assorted ear candy moments, his understated instrumental virtuosity as a guitarist, and his George Martin-inspired panoramic production style. In an album rife with high points, select focus tracks include “Feel It Shine,” “Wish Upon A Starfish,” “Better Watch Out,” and “More To Nothing.” The album’s cohesion makes it interesting to note that, at times, its tracks were written decades apart. For example, the snarling rave-up “Better Watch Out” could have been written by an early rock n’ roll-obsessed teen and bashed out with vitriolic political glee in his garage in the 1970s. But, in fact, that track was written in 2017, showcasing Aaron’s creativity is as vibrant now as it was back in the 1970s. The romantic chamber pop of “Wish Upon A Starfish,” replete with elegantly sentimental strings, finds Aaron pining for the love of his life back in 1990. As an aside here, this story here has a happy ending. Aaron met the girl of his dreams after the song was written, and they’ve been together ever since. The album’s refreshingly bold diversity is epitomized by the stylistically contrasting tracks “More To Nothing” and “A Moment In 1976.” With electronic drums, samples, and a shooting-from-the-hip vocal delivery, “More To Nothing” comes off as a sleek slice of modern vintage new wave, a la The Talking Heads. “A Moment In 1976,” however, is a stunning acoustic instrumental composition brimming with lyrical virtuosity, pastoral strummed passages, and majestic arrangement shifts. Here, inspiration points to master acoustic player Leo Kottke and Yes guitarist Steve Howe. Buried in these tracks is an inspiring story of loss and boldly pursuing one’s dreams. Aaron began his journey in music digging prime rock n’ roll 45s out of a dumpster, behind a radio station in Toledo, Ohio. These were singles by Motown artists, The Beatles, Jimi Hendrix, Cream, Sly and The Family Stone that were taken out of rotation, and they have become indelible artistic inspirations for Aaron. Aaron went on to play drums in a band, before making the leap out front as the lead singer in his high school band. He bonded with his lead guitarist, Jim, and, in those early electric moments of self-discovery through becoming musicians, the two became fast friends. Upon his friend’s death, Aaron inherited the boy’s guitar. “That profound gift sent me down the trail of singer/songwriter. I made a promise to his parents I would learn to play, and I did. Music gave me a refuge from the madness at home, and a target for my life,” Aaron shares. Ultimately, and unfortunately, a profound self doubt held Aaron back from pursuing music as a solo artist—he felt he wasn’t good enough. It was only recently, through watching his wife’s career prosper as a singer/songwriter, that Aaron felt his artistry rekindled. Dipping his toe in the water, he resurrected his 1990s track “Feel It Shine,” and had it mastered at iconic Abbey Road studios in London by mastering engineer Alex Wharton, who previously worked with Paul McCartney. Upon getting the return of the mastered track, Alex sent Aaron a short complimentary note. Between the vote of confidence in the message, and hearing the magical touch of Abbey Road on his own track, Aaron felt a transformation. “That was huge for me. Right then, I told myself I just have to go for it, and push through the negative voices in my head,” Aaron reveals. Feel it Shine: 1rst song on the album: "Adventures of Aaron Cabott Jones"
2nd song on "The Adventures of Aaron Cabott Jones"
3rd song on "The Adventures of Aaron Cabott Jones"
4rth song on "The Adventures of Aaron Cabott Jones"
5th song on "The Adventures of Aaron cabott Jones"
6th song on "The Adventures of Aaron Cabott Jones"
8th song on "The Adventures of Aaron Cabott Jones"
10th song on "The Adventures of Aaron cabott Jones"
Click the image to read. "let’s face it, the man provides a great time & a great vibe throughout the entire record…I dig what this man does, that’s a fact!" 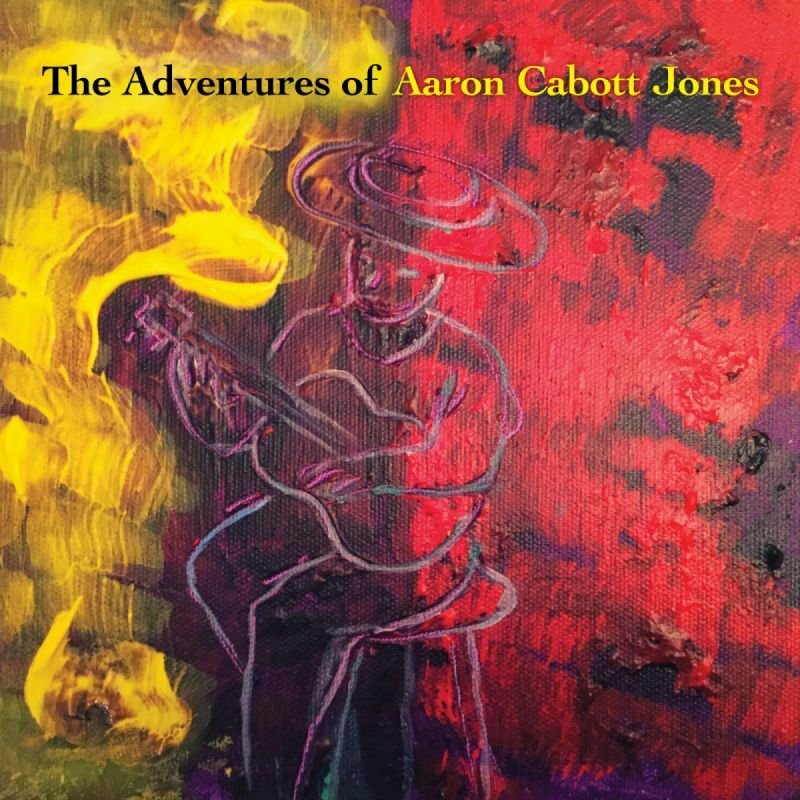 Rebecca Cullen reviews Arron Cabott Jones debut album, The Adventures of Aaron Cabott Jones.